When moving to NYC chances are you are eager to finally uproot your life in the city that never sleeps and start over in a nice, central apartment. No matter how enthusiastic about the upcoming move you, there are a lot of less fascinating tasks to take care of. To start with, have you considered soliciting services of good apartment brokers NYC? Or have you researched top-rated local moving companies NYC? Without a doubt, your NYC life will be a one-of-a-kind experience in so many different ways. But before you move further with the apartment hunting and moving process, it’s highly advisable to adjust your expectations. Sooner rather than later you will realize that finding a place to live in NYC is not all sunshine and rainbows. With a limited choice of affordable NYC apartments, you may find yourself in a huge dilemma. Accepting that compromising is an inevitable part of the NYC lifestyle can help you adjust your perspective. 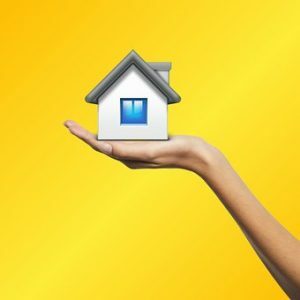 Due to a high cost of living and sky-rocketing real estate prices in NYC, you will need every available help out there to find a place that can accommodate your needs completely or to a certain extent. This is where good apartment brokers NYC can be helpful. If you know exactly what kind of apartment you are looking for and what you can afford, your quest will be much smoother. Should I hire a broker, real estate agent or realtor? When talking about the NYC real estate market, there are some terms you should understand before embarking on a big adventure. The process of choosing good apartment brokers NYC should be careful and systematic. Surely, you will want to have by your side a person who will act in your best interest and guide you successfully throughout the apartment hunting process. To begin with, those three real estate professionals are fully licensed and able to represent your interests in a real estate world. 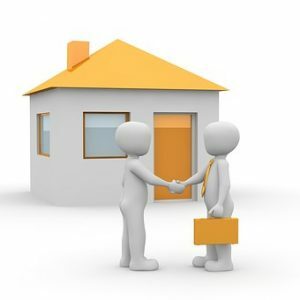 A real estate broker can either work independently or hire a licensed salesperson to work for him. Therefore, they are responsible for their agents’ performance and actions. Requirements for a broker’s license may vary from state to state, but in most cases, they are considered to have a higher level of education. Real estate brokers can work as agents, but agents cannot call themselves brokers unless they obtain a broker’s license. Broker associate is a broker who has decided to join a larger brokerage company instead of working for himself. Some brokerage firms are paying a flat fee for the associate’s services, while others offer a percentage of each transaction. Real estate agents have licensed salespersons who are required to work for an employing broker. It’s a starting point in a real estate industry career. They have passed the necessary exams in the state where they will operate. A realtor title belongs to any real estate agent or broker who is a member of the National Association of Realtors. A realtor must comply with specific ethic guidelines. A violation of the standards and code of ethics may lead to a removal from the association. How to spot a reputable broker? 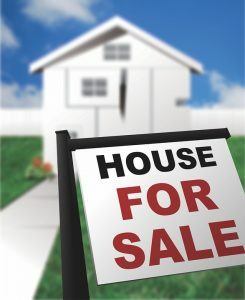 Due to a competitive real estate market in NYC, the choice of brokers is crucial to a successful home hunting process. Brokers usually use online ads, directories and yard signs to promote themselves. As a result, a lot of websites can refer specific brokers to you, but you cannot be sure of their professionalism. A recommendation could be your best bet. A friend or a relative who has gone through the apartment search recently may provide some significant guidelines. Alternatively, you will have to do your homework diligently and research good apartment brokers NYC. Previous clients’ reviews and testimonials can reveal some insightful details about brokers’ performance and experience. Also, make sure to check for potential disciplinary actions against them as well as awards. Contact the local regulatory body to find out if the broker of your choosing has any complaints. Good apartment brokers NYC have extensive knowledge of city’s and neighborhoods’ good and bad sides. You will get access to a wide range of listings as well as to the apartments that are not yet listed. A professional broker will save you a lot of time and energy. Since they work as middlemen between you and the person who rents or sells the apartment, their negotiation skills can be put to good use. They will help you handle the paperwork. They may reveal some ongoing market changes and trends. As it turns out, you will have to consult various professionals for the upcoming move. Aside from real estate specialists, you will also need the services of a trustworthy moving company. So, in order to avoid unpleasant surprises, make sure to get insight into overall moving-related costs by using a moving cost estimator. When calculating a moving budget make sure to include other significant fees like those for the storage units NYC, cleaning, car shipping services, potential repair works. For many people, the most discouraging thing about hiring a broker is the financial aspect. As it turns out, you will have to pay one month’s rent or 12-15% of the annual rent. Also, hiring an inexperienced or dishonest real estate broker can be an additional burden. On the other hand, if you opt for a very busy professional, chances are you won’t get the full attention as he won’t be able to work with your schedule. 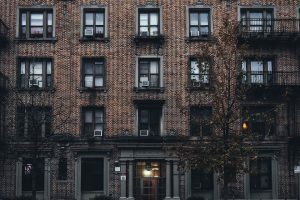 Having considered all the advantages and disadvantages of hiring good apartment brokers NYC, you will have to take your specific situation into account as well. Gather as many information as possible before deciding if going with a broker makes sense for you and your budget.